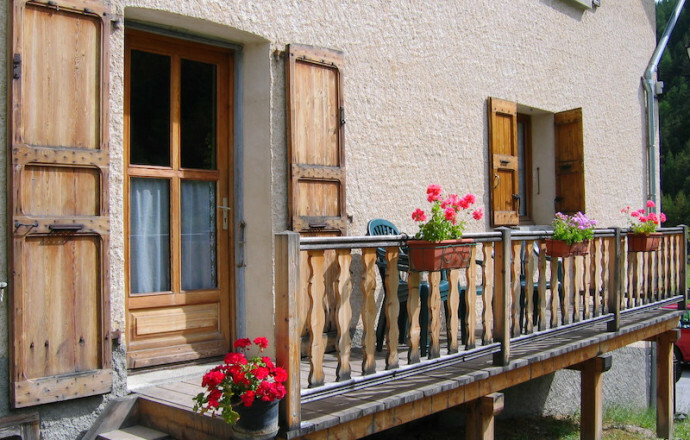 In small village, gite designed in the same House as the owner, with 2 other gites and holiday 1 logt. Ground floor entrance. Nearby nbreuses nature activities: hiking, mountain biking, skiing and downhill skiing at the family station of Arvieux, whitewater sports, cyclo deposit has a living kitchen, m-wave, TV with Freeview, common l-linen. Poss of sleeping Supp. in the living room (convertible). 2 bedrooms (2 double beds), shower - wc, heating. Central. Cot available. Garden furniture, barbecue. Communal playground at 250 m. Parking.